Instructive lessons, great experience! 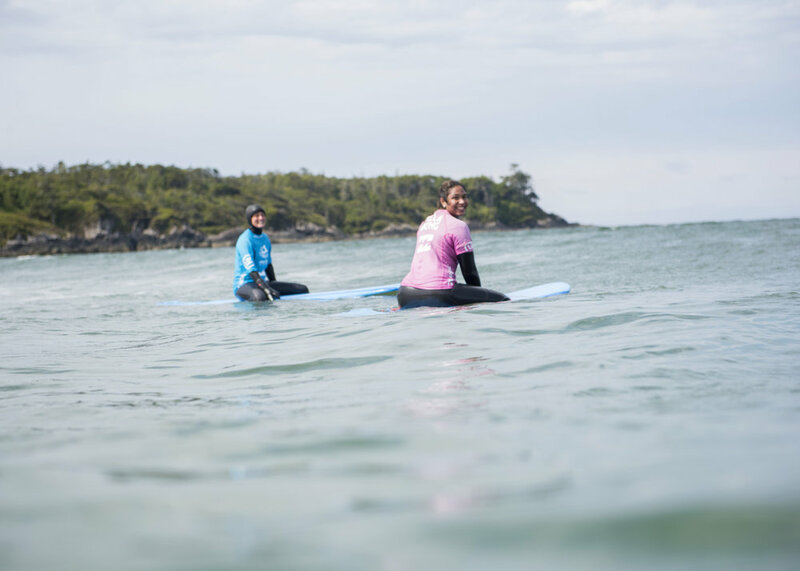 We completed both the Day One & Day Two lessons with Surf Sister, and we had an absolute blast. Our instructors were Olivia, Jade, and Jordan. Each was very informative, and so patient and helpful with all of the students! I didn't think I'd be able to surf, and I was popping up on the first day! The lessons were very thorough. I felt they covered all of the basics, plus gave us a great tutorial on safety and surfing etiquette. I appreciated the one-on-one help in the water too. By the end of each lesson I felt more confident on the board! These women are very passionate about surfing, and you can't help but catch onto their enthusiasm. Highly recommend this school, and would go back again to learn more! Empowering! These Sisters are the real deal. They have so much knowledge, patience, kindness, and good humor! Their approach to teaching is wonderful, especially their "Day 2" group and private lessons. During these lessons, they provide quite a bit of theory, including reading surf reports and choosing good waves. Their aim is to provide you with some foundational skills in the water but also some basic know-how to make your own good judgements. So generous in passing on this knowledge and, ultimately, so empowering. Thank you Surf Sister! AMAZING time! We booked a family lesson for the four of us 1 adult and 3 teens. Our instructor was Gwen and she was so positive and knowledgeable. Our family had such a great time not only learning the techniques for surfing but also learning everything we needed to know about the equipment and water. 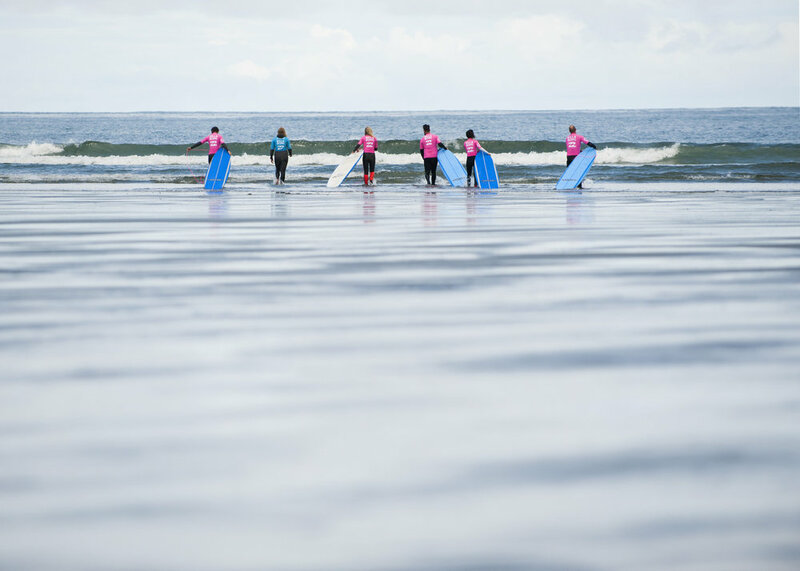 This experience was a great stepping stone that allowed us to go out and practice surfing on our own for the rest of our vacation in Tofino. Surf sister was great, the staff was so friendly and easy going and made us feel very comfortable and welcome. Plus we loved our sweet graduation stickers! Highly recommended. Highly, highly recommend Surf Sister is the best. I have taken multiple group and private lessons with them over the last year. Most recently, I took a private lesson with Gwen - who helped me paddle out for the first time!!! - and a family group lesson with Stephanie. Both were amazing and really improved my overall confidence and skill. Gwen also helped me out with getting organized for continuing surfing, which was ridiculously helpful. Surf Sister really cares about their clients. Separate from lessons, I also bought a wetsuit from the shop, which was a surprisingly enjoyable and easy experience as the staff were super helpful and very nice. I brought my daughter (age 14) and niece (age 12) specifically to Tofino just to go to Surf Sister and not only did they love it, I loved watching it. From the owner to the instructors everyone was beyond amazing and treated the girls with such respect and patience. The women working in the store were just as amazing and helpful every time we were there. From filing out the forms and helping the girls with all the clothing and merchandise they were buying. Surf Sister have helped my daughter and niece fall in love with the sport even more (if that was even possible). My daughter now wants to become a Surf Sister Surf School instructor, so we’ll definitely be going back for more lessons. I highly recommended Surf Sister Surf School to any young lady wanting to learn how to surf. They are so wonderfully amazing. Thank you so much!! SURF SISTERS AT PACIFIC SANDS We stayed at the Pacific Sands and Surf Sisters is conveniently located on the resort property in Cox Bay. Such a great experience! 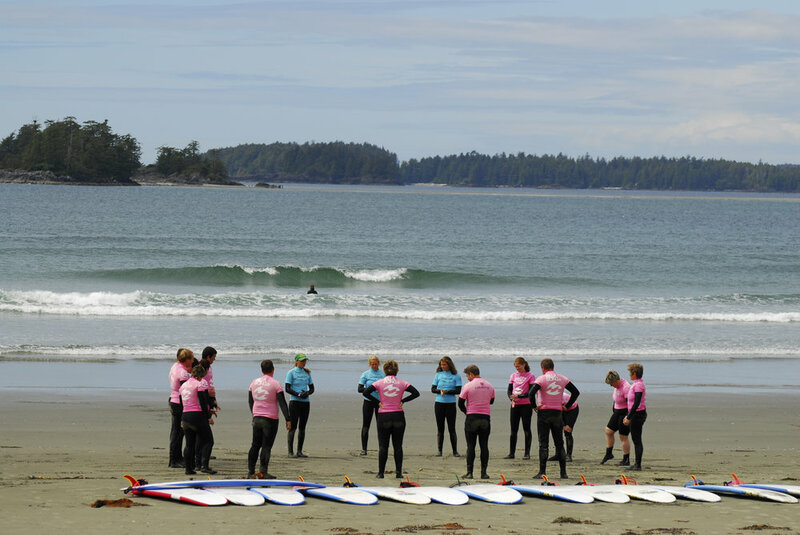 The staff are exceptionally friendly and welcoming - especially Kate:) In addition to setting us up with a terrific instructor, she gave us so many honest and much appreciated tips for things to experience while in Tofino. At Surf Sisters, we did a beginner surf lesson ... our instructor, Kat, was perfect - focusing on surfing basics while always conscious of safety. Kat began our lesson with an on-shore introduction. Then we hit the surf. We expected the water to be cold, but with the thick wet suits the Surf Sisters provided we never even thought about the water temperature while surfing... we were toasty warm. Loved every minute!!! Challenging the waves is exhausting... we felt spent but such a positive experience! Hi!! I was sending an email, praising Tia and Rhiannon on their “Mother/Daughter” lessons. My daughter and I had the time of our lives with those 2. They share a certain chemistry valuable for teaching this sport. I would just like to share my positive experience with her, letting her know that her instructors are incredibly talented; while at the same time, having a great time with their clients! Hi Tia and Rhiannon, Erin and I wanted to say thank you both for such fun, fun, fun mother/daughter camp! It really was the best! Experiencing the surf sister culture and passion with you both was a very cool and memorable experience. I felt so comfortable and safe in the water, but prior to the camp, I was a little aprehensive about getting swept out to sea, swallowed by a whale, etc! I enjoyed learning about the swell, the off shore wind (good! ), the long wave and rip tide, and the absence of an undertow. Oh, and I’ve gained an appreciation for a good “lump”, and love making drip castles! I had some good pop ups, but also really enjoyed just bopping around in the sea. From a mom’s perspective, you were fantastic role models for Erin. And for me too! I’m sure we’ll be back, and will look you up at the shop. First time to B.C. and my first time learning to surf, incredible. Thanks to all the girls at the Shop and Mattie, great instruction and very charming;) Hope to see you all again! Thanks for the memorable trip! We took two youth groups surfing on Wednesday, August 20th and had an awesome time. It was the first time for many of the kids and they were nervous but you girls were great at making everyone feel comfortable with their abilities. Thanks again. Hopefully we will see you next summer! I had the opportunity to attend the July 26-27 2008 clinic with my friend Chantelle and we had an absolute blast.I am, sadly, land-locked in Calgary but am looking forward to my next surf experience, hopefully in Tofino. I’ve been telling everyone who will listen about the school and what an amazing experience it was. Cheers and thanks again. Thank you SOOOO much for the great 2-day clinic this past weekend. Especially to Kate, you were SO informative and I know that Tanya, Jessica and I can’t WAIT to come back to Tofino and have another go! You really made the sport painless (relatively), exciting, and most of all, easy to understand. Thanks again SO much and we’ll be seeing you sooner rather than later! !